The recipient of the 2012 City of Leipzig Bach Medal, Masaaki Suzuki has earned an enviable reputation as an interpreter of the music of Johann Sebastian Bach � as a reviewer in International Record Guide has put it: 'With Suzuki you can hear Bach's heart beat'. To a wide audience he is known as the director of Bach Collegium Japan, and the moving force behind the ensemble's acclaimed recordings of Bach's complete sacred cantatas. Perhaps less well known is that he began his career � at the age of 12! � playing the organ at church services in Kobe, where he was born. 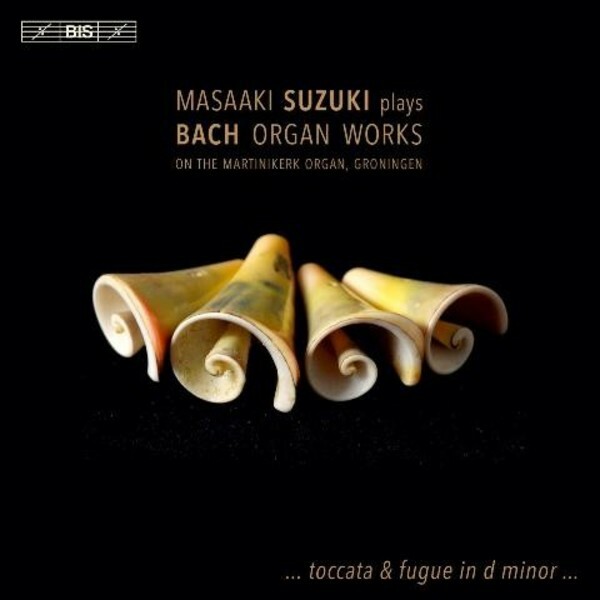 Suzuki has remained true to the organ throughout his life, and for BIS he has previously recorded Bach's German Organ Mass, as well as programmes of Buxtehude and Sweelinck. He here appears on a disc which combines some of Bach's best-loved works for the instrument, including the D minor Toccata and Fugue, the Partitas on �O Gott, du frommer Gott�, BWV767, the Canonic Variations, BWV769, and the celebrated Prelude and Fugue in E minor, BWV548. The recording was made in Groningen's Martinikerk, with Suzuki performing on the renowned organ, one of the most important and impressive in the Netherlands.